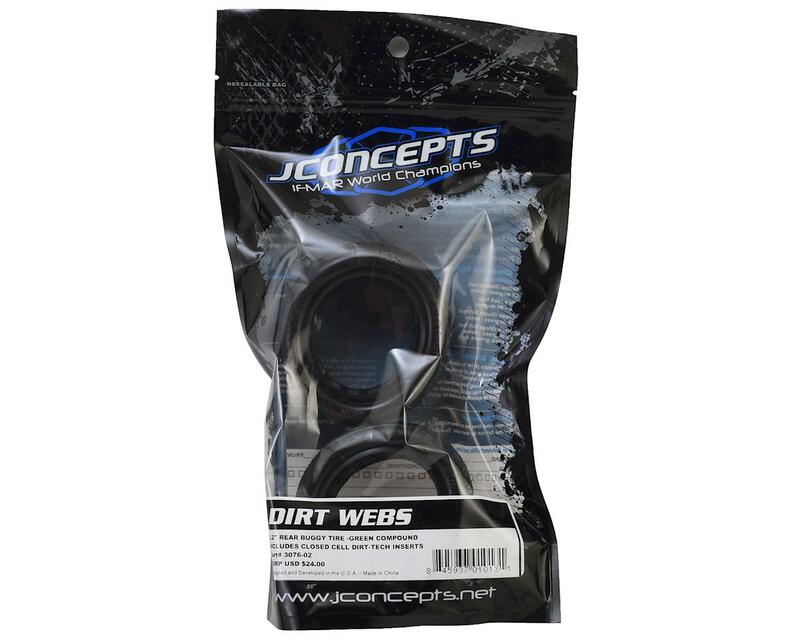 This is a pack of two JConcepts Dirt Webs 2.2" Rear Buggy Tires. During 2012, legendary tire builder, Brian Kinwald, came up with a hand-made tire design. After testing at indoor tracks around the country, qualifying results during the 2012 Hot Rod Shootout and working together with JConcepts designer Jason Ruona, the Dirt Webs tire was born. 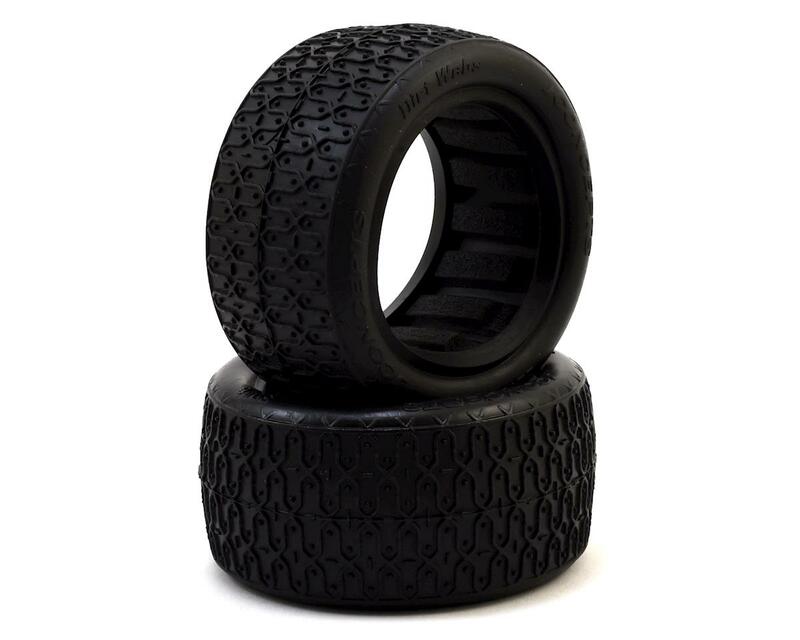 Production tire versions debuted during the 2013 IFMAR World Championships at Silver Dollar Raceway in Chico, CA, where Ryan Maifield used the front tire to his advantage during the A-Final events taking the fastest lap times on his way to a 3rd overall podium finish in the 2wd class. The outer edges feature a single rib on each side which proves extra side-bite during heavy cornering and side-loading characteristics. The Dirt Web thread sits on the proven "Bar Code" tire carcass giving the tire a low-profile, wide-body appearance allowing clipped tread to extend all the way to the outer edges. The carefully shaped profile allows a great balance of monster forward traction and comfortable side-bite. Available in multiple compounds, the Dirt Webs can easily be matched to any track conditions ranging from indoor clay, indoor dirt to outdoor hard-packed or treated clay or dirt. Silver (Super Soft Indoor): Similar to gold, but softer. Breaks in faster, recommended on freshly groomed tracks or when a faster break in is needed. Red (Medium Soft): For high groove traction with broken sections. Excels on grippy surfaces that have taken rubber.